This classic two-story house features a long porch defined by gracious columns as you enter the home. The kitchen has a large island that divides it from the dining room. On the second floor, the master bedroom includes a shower and a large walk-in closet. Two additional bedrooms on the second floor share a full bath off the hallway. An entrance to the deck from the dining room makes it a great and easy way to enjoy a summer night eating outside. This two-story home has over 1,600 square feet of living available. It has an open-concept floor plan that combines the kitchen, dining, and great room creating a feeling of large volume. The master suite is located on the second floor with a spacious walk-in closet and private bathroom. Two additional bathrooms and a full bath are located upstairs as well. A two-stall garage is attached with an entrance to the house through the garage. The main level of this three-bedroom cottage boasts a ten-foot ceiling enhanced by a partially vaulted great room ceiling. The kitchen with large island is open to the great room. 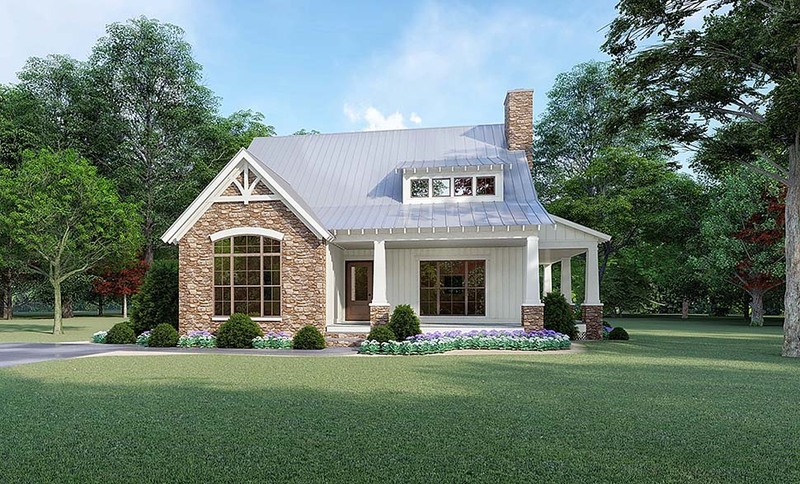 The layout makes this a truly open and expansive year-round living space which is warmed by a centrally located wood stove. The upstairs vaulted master bedroom has two interior opening windows that overlook the great room below. This creates a unique look and feel to this suite. A private balcony is accessed through French doors.